2018 has been another dramatic and difficult year, full of political and social turmoil, but not without the hope we have in Christ. So, as we begin to look back over the last 11 months and prepare for the year ahead, it’s a good time to remember an everlasting truth: God is with us. God being with us has changed everything. At Christmas, we remember that God doesn’t watch us from the sidelines with His fingers crossed, hoping we’ll sort it out before it’s too late. At Christmas, we remember that God saw us, a broken mess of humankind, and decided to do something about it. It’s only been in the last couple of years that I’ve realised that, for those of us in the northern hemisphere at least, we celebrate Christmas at the darkest time of the year. Imagine with me a pitch-black room, oppressive darkness, with no way out. Then imagine that in that dark place, a flicker of light. Just one solitary, tiny pre-flame, like a burning ember before it finds oxygen. As Christians, we know that that tiny light grows into the burning brightness of the fullness of God’s glory: that tiny Jesus-light lives, dies and is resurrected as the Saviour-light. From the horrendous darkness comes the light to end all darkness – the light of the world Himself. And that light changes everything; it gives us vision; it orientates us; it shows us we are not alone; it gives strength when we are weak; it gives us wisdom to make good decisions; it gives us faith to see ourselves, others and our circumstances and situations as God sees them. God did not leave us in oppressive darkness. He does not want us to live without hope, without grace, without vision. He gave us His light. 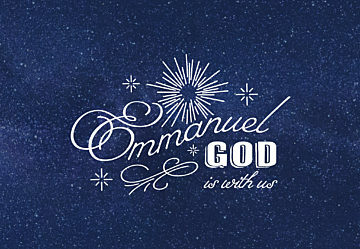 He gave us Emmanuel, which means God is with us. And that has changed everything. During Advent, we’re exploring​​‘Emmanuel, God is with us’ — how the presence of God shapes the work that the Evangelical Alliance cares so passionately about: mission and crossing cultures, reaching young adults, public leadership, public policy, and how this is all made possible by the generosity of the church. We hope that you’ll join us and in this Christmas celebration as we look forward to more of God with us in the year ahead. Alexandra has been at the Evangelical Alliance since 2015. Previously she worked for Evangelical Alliance member Release International. 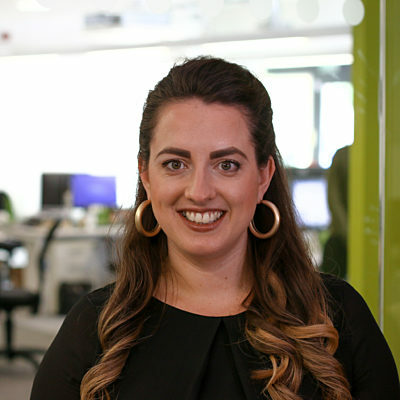 Alexandra has a masters degree in Democracy and Democratisation from University College London and spent time with the Baptist Missionary Society in Kosovo. Alexandra is part of the leadership team at her church.